Thundercloud is Stormcloud's last known offspring. He was out of a grade mare named Mindy, who was bred with Stormcloud while Celina Boltinghouse was boarding him at a farm in Missouri. 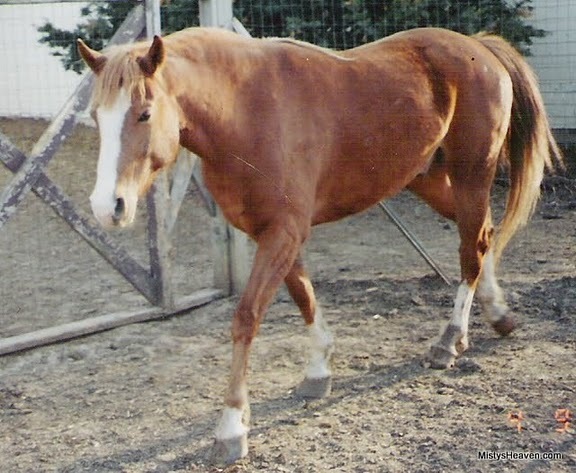 Thundercloud sports his father's chestnut coloring and chrome markings. Thundercloud was later sold to a man who didn't know the pony's heritage and had named him Chiefy. Celina tracked down the son of her old stallion and informed his owner of the pony's true lineage. Chiefy was last living in Missouri.